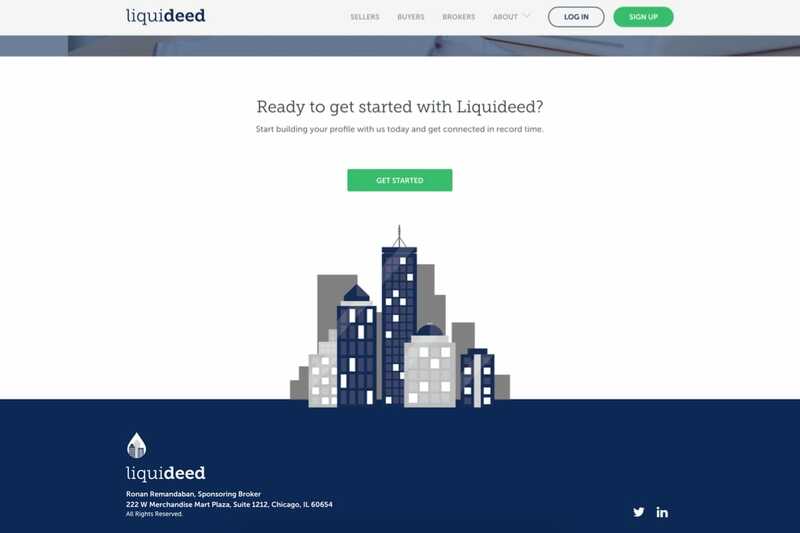 Liquideed is a commission free online marketplace that vastly expedites the time to sell commercial real estate. 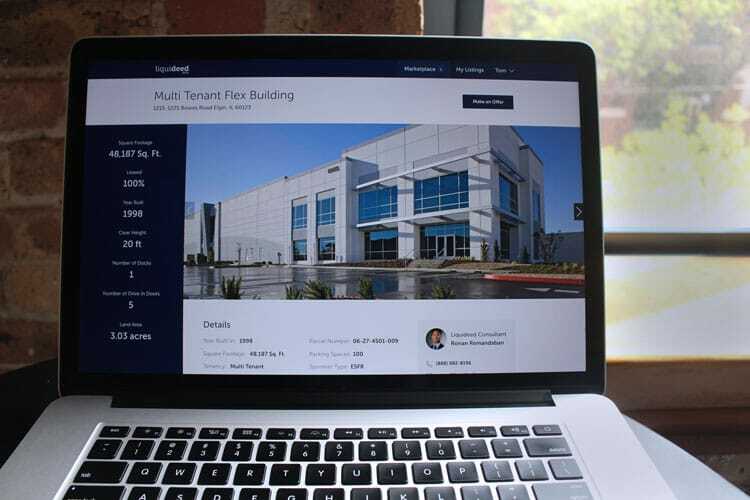 From list to close, a commercial or industrial real estate transaction can take up to a year to complete. 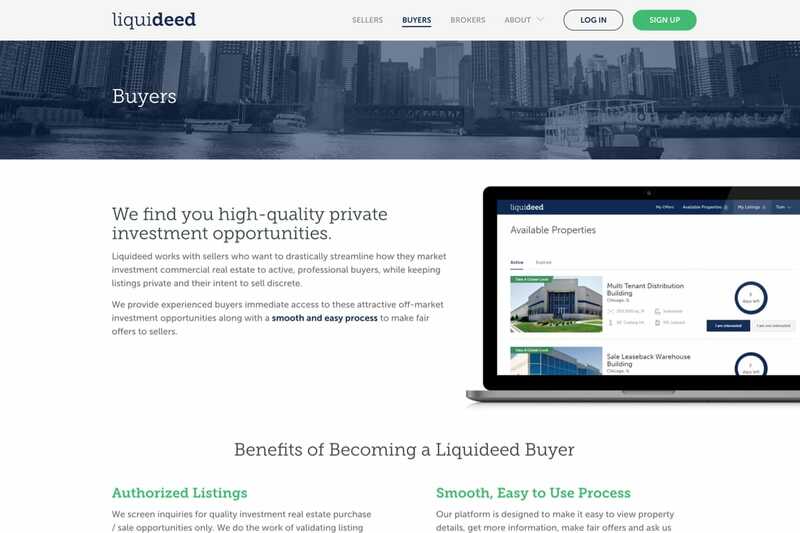 In addition, identifying high-quality buyers or available properties that match certain criteria is time consuming and requires specialized knowledge possessed mostly by brokers. 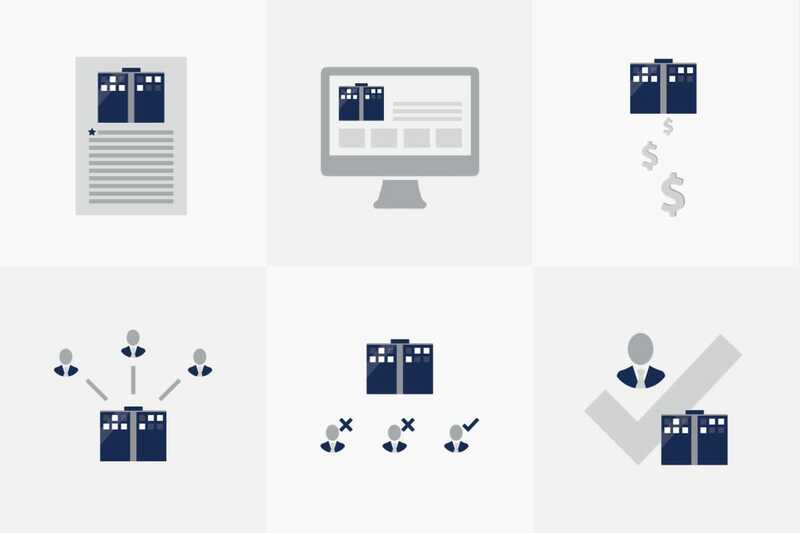 We leveraged previous design work provided by the client to initiate a solid starting point. 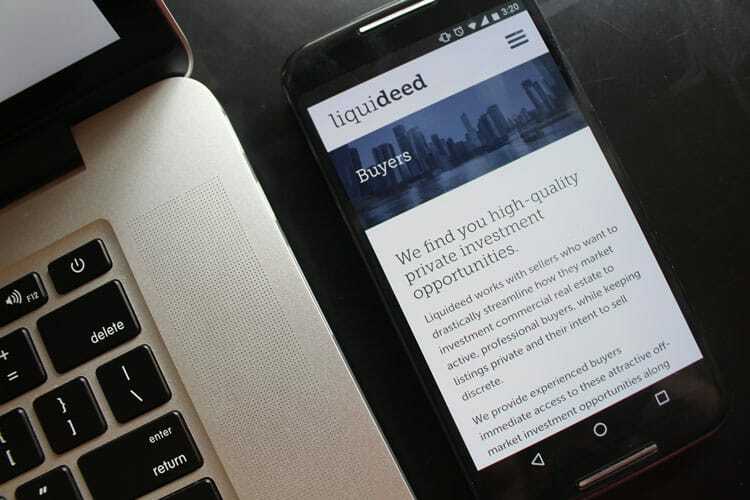 We extensively workshopped interactions between buyers and sellers to fully understand the requirements and ideal flow for all potential users. 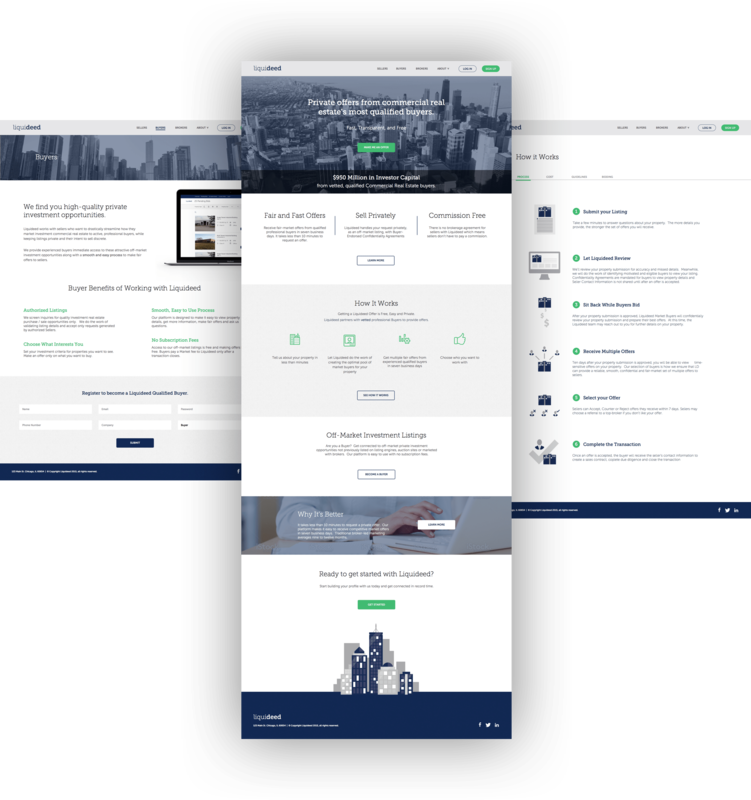 We integrated existing UI mockups with our own design concepts to efficiently create a fluid user experience. 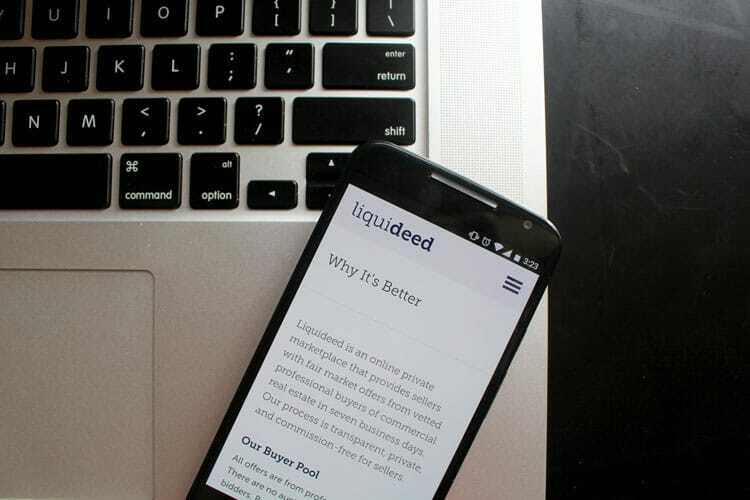 We inherited some design mockups from Liquideed that served as the initial foundation. Together we walked through the flow and made improvements to the user experience and user interface along the way. 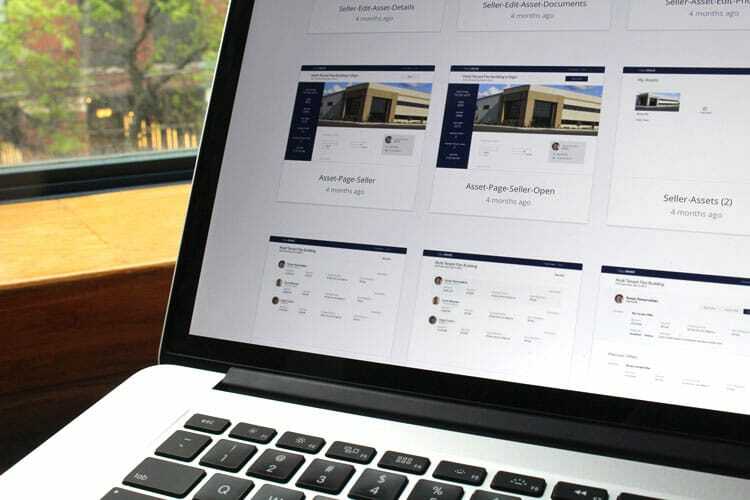 With such a complex application, one of the major challenges we had to overcome was making sure users understood what phase in the process they were in and what they should expect in the upcoming phases. This was especially important when it came to the multi-round negotiation process, and to solve this we designed a progress bar that listed out each phases, showed the current status, and explained what action (if any) was required of user. 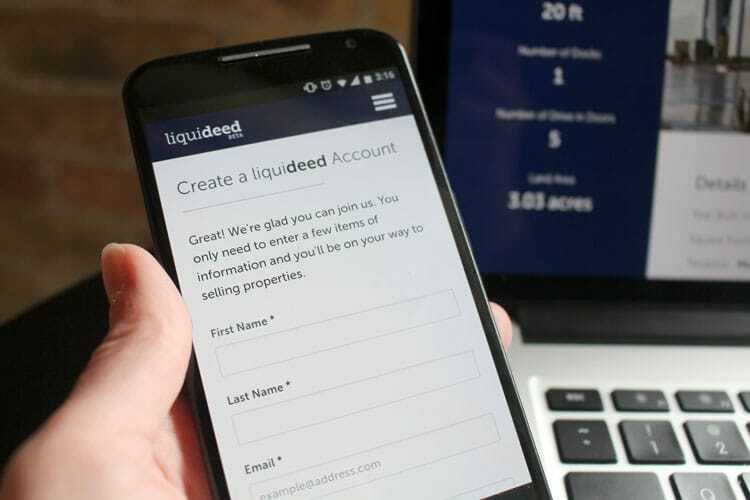 Also since the Liquideed’s process is time-sensitive we translated all the desktop mockups we received into mobile and tablet friendly views to ensure that users could quickly view and make offers/counteroffers on a property from any device. In regard to the color palette, the blues references the idea of water or “liquid” from the company’s name and light greys and whites are used to give the application a light, friendly feeling. 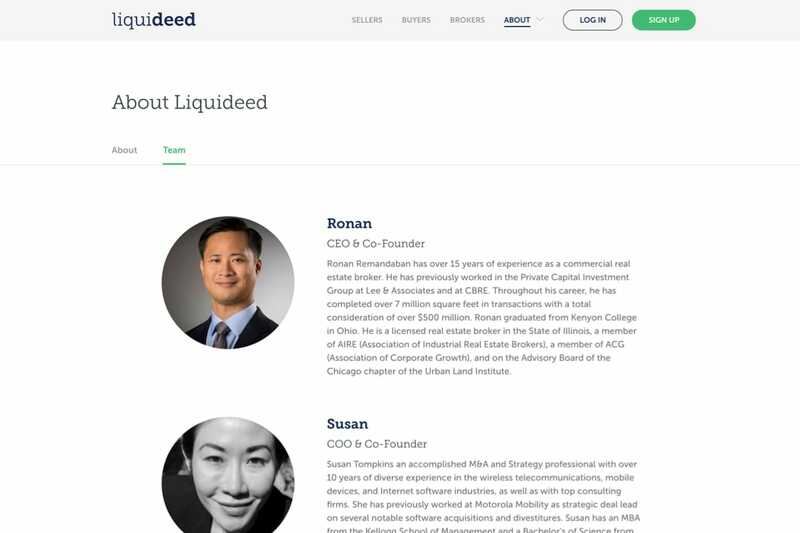 We continue to work with Liquideed to support the application and integrate new features. 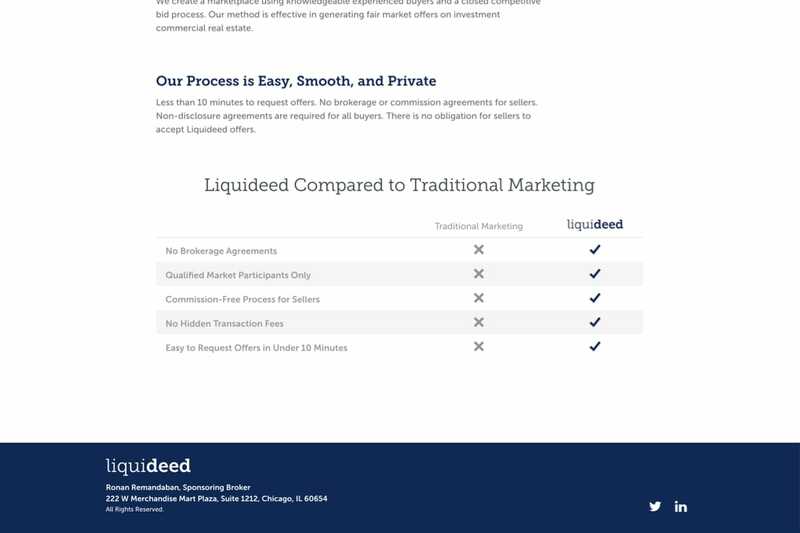 We work closely with the Liquideed team to make sure the client onboarding process runs smoothly. 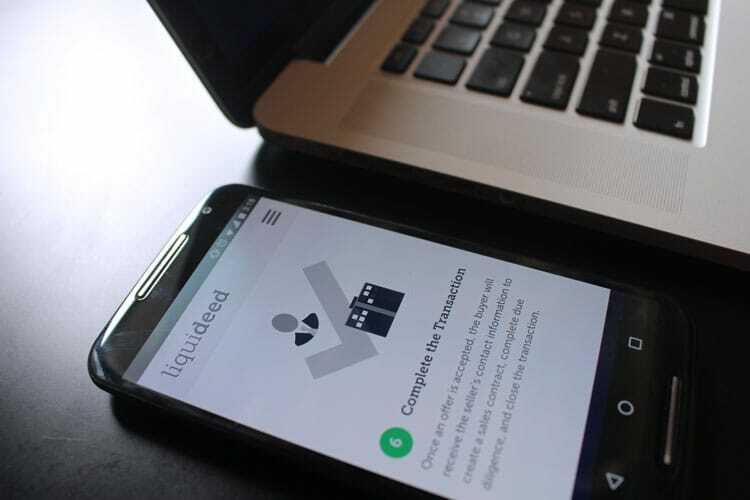 In addition, since launch, we enhanced the negotiation flow and improved accessibility for older users.